E J. Opik, "About Dogma in Science..."
Dr. Carl Sagan, a professor of astronomy from Cornell University, a well known public personality and writer of popular books of science, in 1974 at a symposium of the American Association for the Advancement of Science (AAAS) delivered a paper, "An Analysis of Worlds in Collision ". This paper was later edited and presented in a book, Scientists Confront Velikovsky, published by Cornell University Press. The paper was further edited and presented in Sagan's book Broca's Brain, under the title "Venus and Dr. Velikovsky". Sagan's paper is a critique of Immanuel Velikovsky's book Worlds in Collision. Having read Velikovsky, I also read Sagan's paper; I thereafter discovered that a group of scientists and scholars had written critiques of Sagan's analysis. After reading these criticisms I began a search of the literature and over a period of time I became convinced that Sagan's critique lacked substance. Most surprising was the number of statements made by Sagan that proved to be clearly untrue. Further reading reinforced this discovery of the glaringly unscientific and unscholarly quality of Sagan's paper. What was much worse, was that it was difficult to imagine that even Sagan was unaware of the misrepresentation of evidence presented as scholarly criticism by him and offered to the public. Thereafter, I encountered a colleague who, learning that I was interested in the thesis of Dr. Velikovsky, informed me that in Broca's Brain was an essay by Professor Sagan that demolished Velikovsky and his thesis. When he informed me that he had not read any of Velikovsky's books nor any criticisms of Sagan's article I asked, "How can you make a proper judgment if you haven't read both sides of the issue." To my astonishment he replied, "I don't have to read both sides to know which side is right!" His closed-minded attitude made discussion futile and I let the remark pass. Several days later I received a letter in which he presented citations from Sagan's paper and posed, "What possible arguments could be raised on Velikovsky's behalf?" In response I composed a long letter which dealt with merely one of Sagan's criticisms. This posted I awaited his response, none came. A few weeks later at a monthly conference, we ran into each other. In a very friendly manner he approached me, smiling broadly, he shook my hand. "What did you think of my reply to your letter?" I asked. He admired the scholarship of my reply to Sagan and admitted frankly, "There are two sides to this Velikovsky business." This I followed up by asking if there were any other aspects of Sagan's criticism which he wished to clarify. He shook his head 'no' and I dropped the matter. However, I noted that he seemed shocked by the evidence of the rebuttal presented. It was at that moment that the realization struck that Carl Sagan's criticisms had been uncritically read by a wide audience. This was soon discovered to be the case among friends and relatives. Seemingly, they had all read Sagan's side, but not Velikovsky's. With little or no scientific background with which to judge, they had accepted Sagan's word on all matters. It was then that I conceived the idea for this book. It is hoped that reading the other side will permit laymen to clarify the issues. I must admit that doing the research for this book over about an eight-year period has brought to my attention much more than I had imagined regarding Sagan's critique. 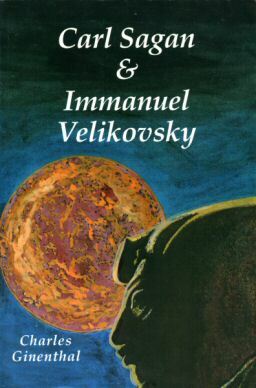 It has been a deeply saddening experience to discover again and again the crassness of Sagan's work on Velikovsky. It has also been a deeply shocking experience to learn the political nature of the way science operates. Even if Velikovsky's theories are completely wrong, no one deserves to be maligned as he has been. The deceit exposed in the following pages is an outrage to decency.